ADC has just launched its latest, automatic, multi-channel CO2 and H2O analysis system. Up to 24 samples can be sequentially analysed with the EGA60. Each channel can be configured with its own flow rate and sampling time, prior to analysis. 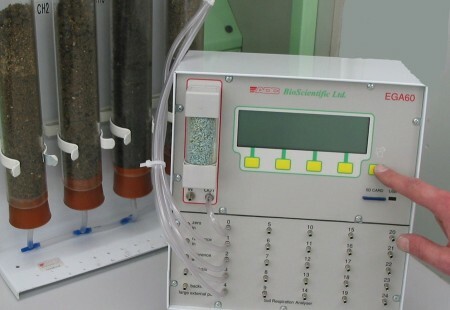 Flow is maintained to all channels, at all times, so the samples are maintained in a constant atmosphere. Channel number, flow rate, CO2/H2O concentrations and analogue input values are all stored on the integral SD memory card for later analysis.